A program from the Massachusetts Institute of Technology (MIT) that celebrates inventions from middle and high school students is awarding grants to 42 teams at 39 schools in California, Massachusetts, Oregon and Texas. 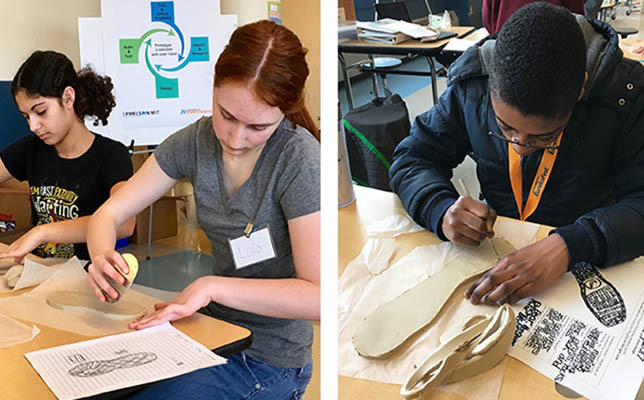 The Lemelson-MIT Program will award Junior Varsity (JV) InvenTeam grants to help enhance K–12 STEM education through inquiry-based learning and hands-on skill building. The JV InvenTeam initiative is a spin-off of the original Lemelson MIT Program for older high school teams. It is funded by the Oregon-based Lemelson Foundation and administered by faculty and experts from MIT’s School of Engineering. JV teams can go on to compete in the national program, which awards grants up to $10,000 to solve real-world problems through invention. The complete list of 2017 grantees is available in the announcement. Further information can be found on the Lemelson-MIT program site.